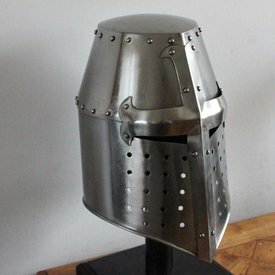 This replica is based on several original helmets from the 13th century. 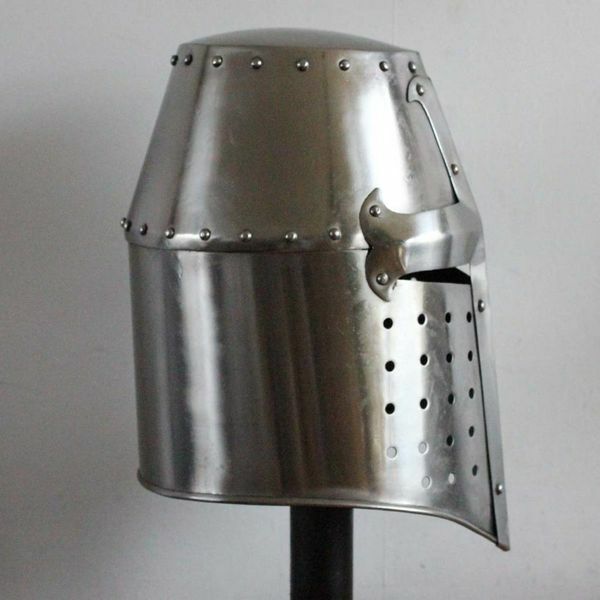 The great helmet or pot helmet was developed around the 12th century during the time of the crusades and it was used until the 14th century by both knights and heavy European infantrymen. 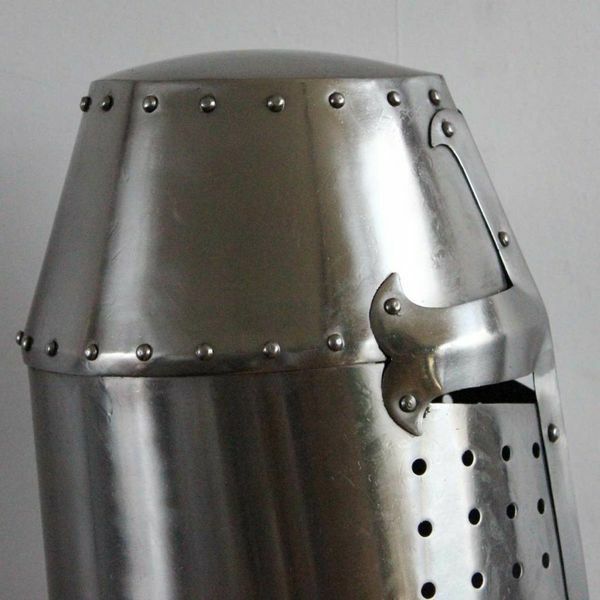 In these centuries it changed from a simple design with only narrow slits for the eyes and mouth to a rounded helmet. 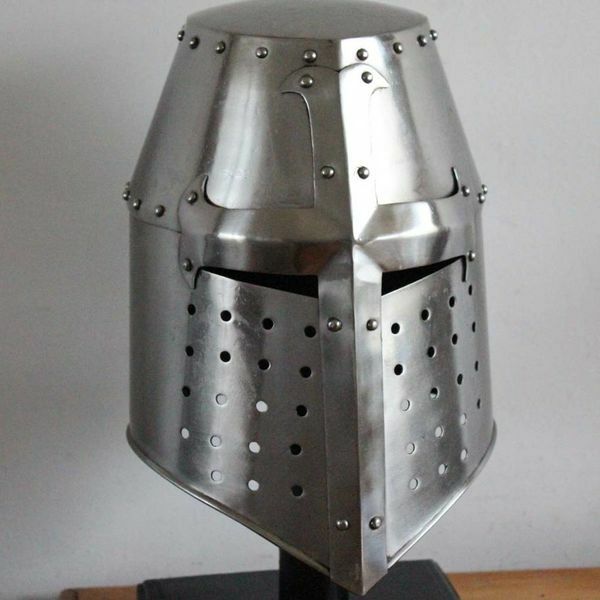 The great helmet provided more protection than the earlier nasal helmet but it reduced the peripheral vision and it had limited ventilation so generally it was put on just before the fight. 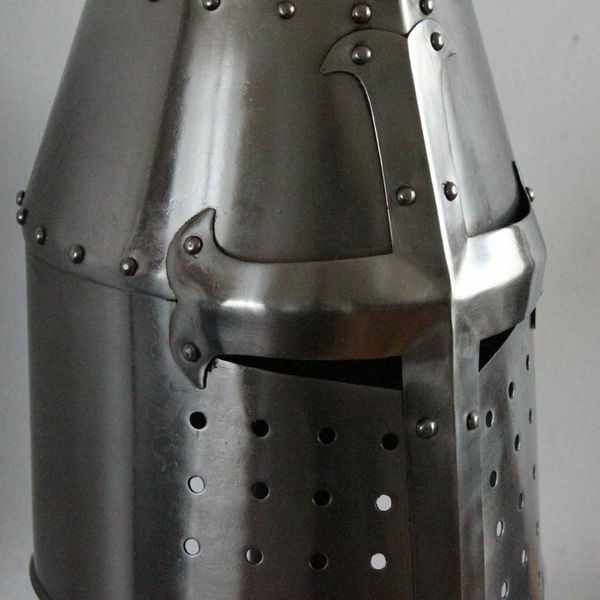 A smaller helmet, like a secret of bascinet, was often worn underneath the great helmet. The inside has a leather inlay for wearing comfort. 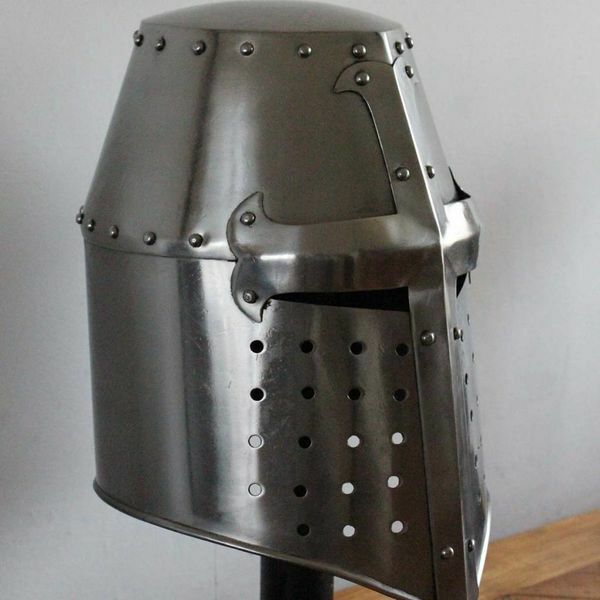 The helmet is made of 2 mm thick steel and weighs approx. 3,5 kg. It has a max. 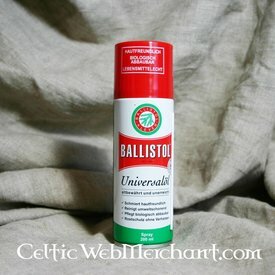 diameter of 63 cm.